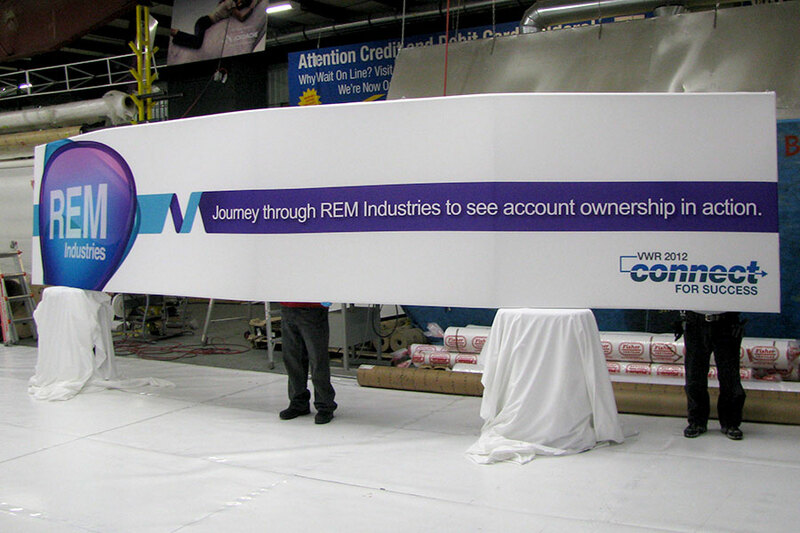 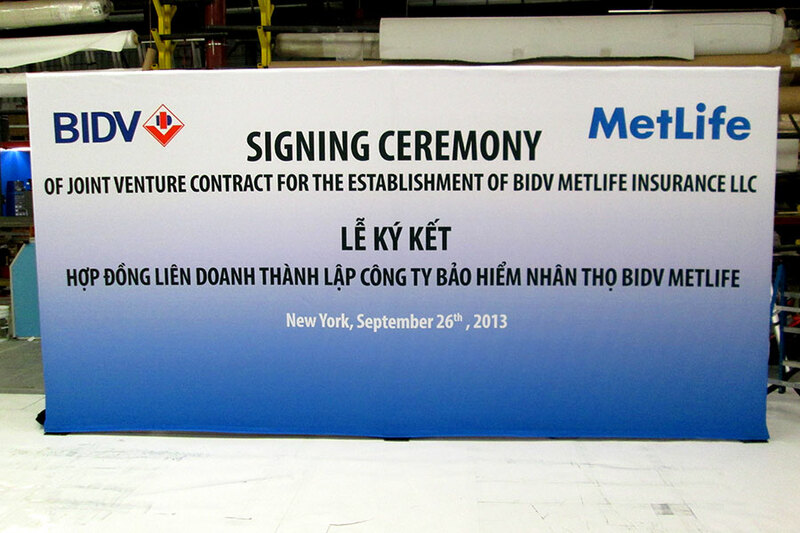 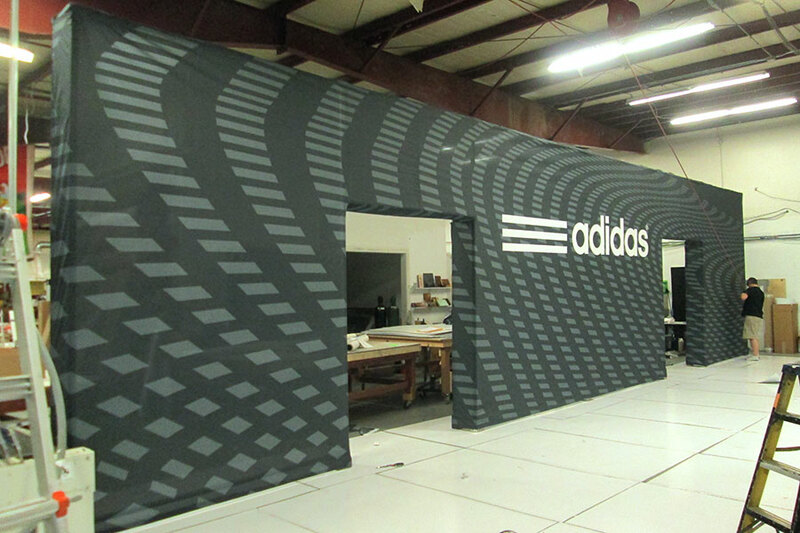 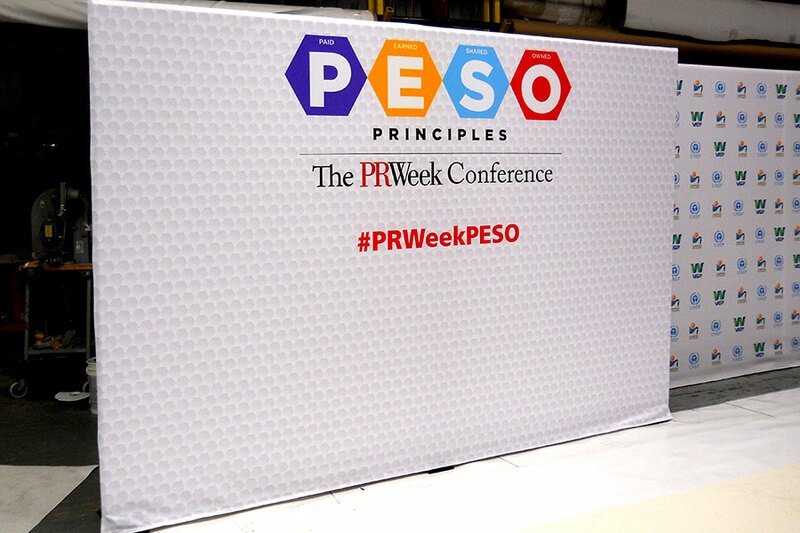 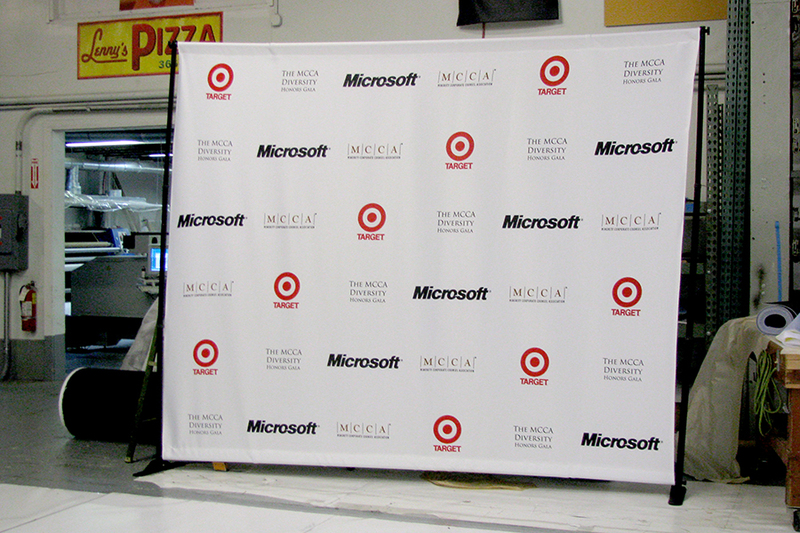 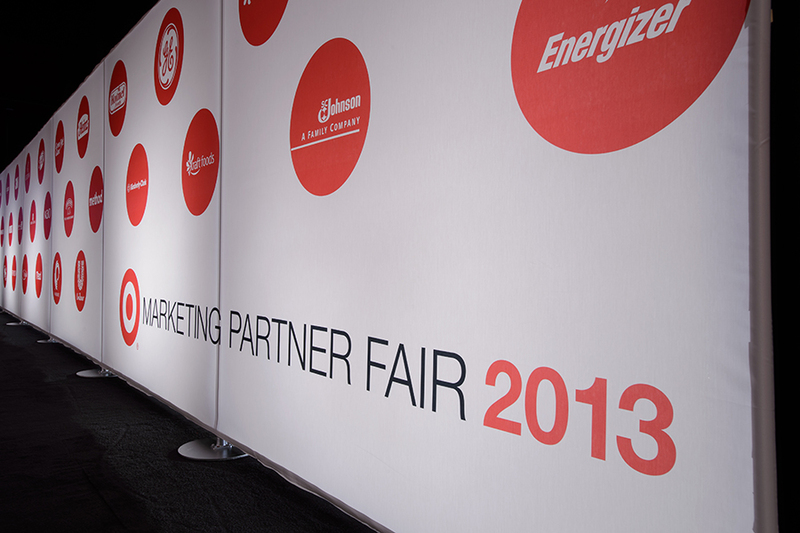 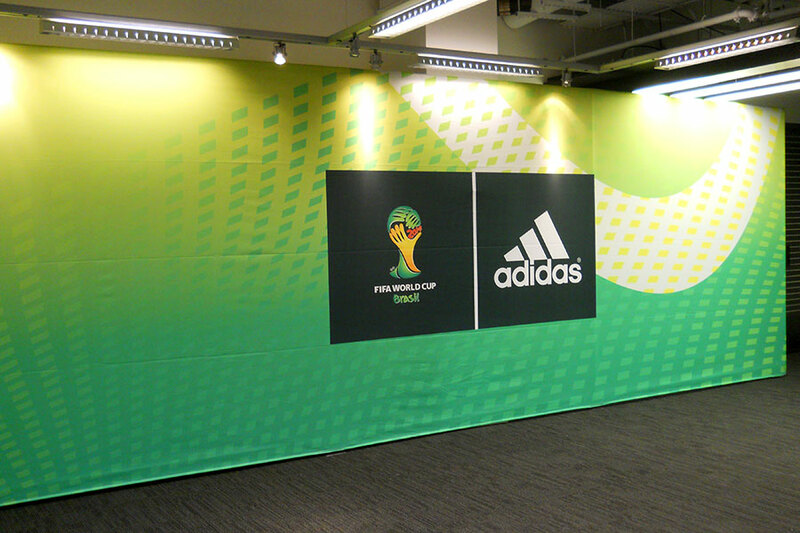 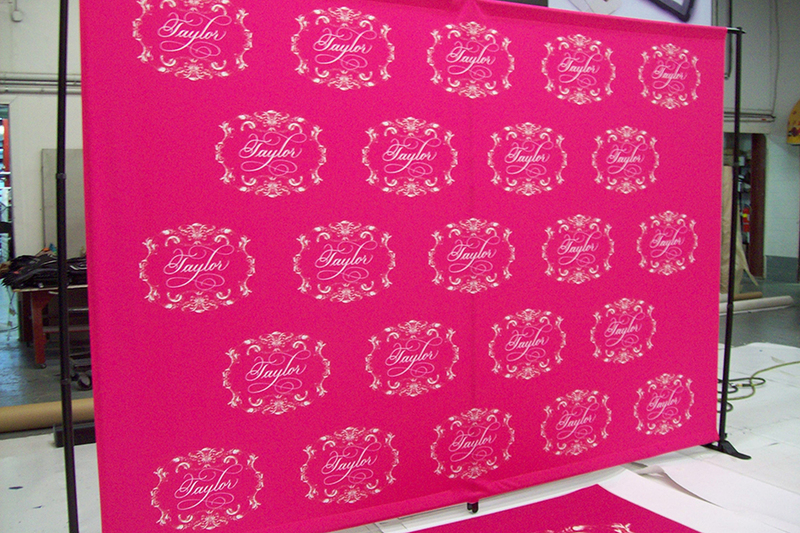 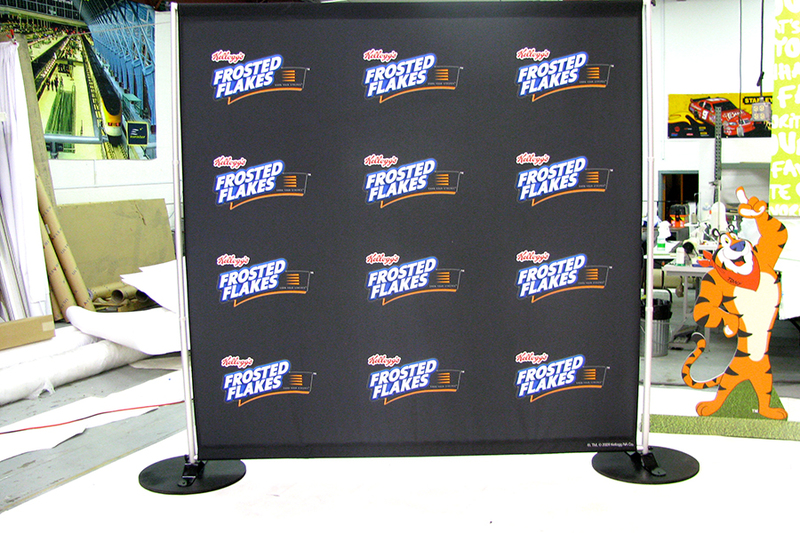 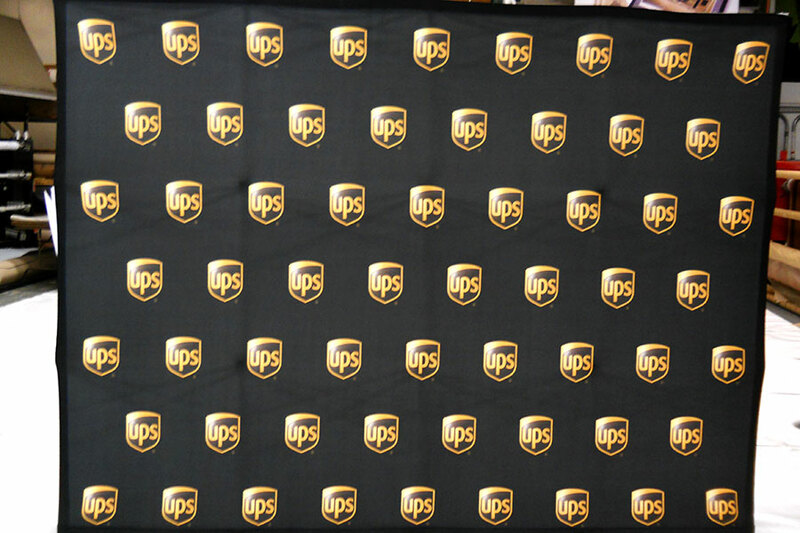 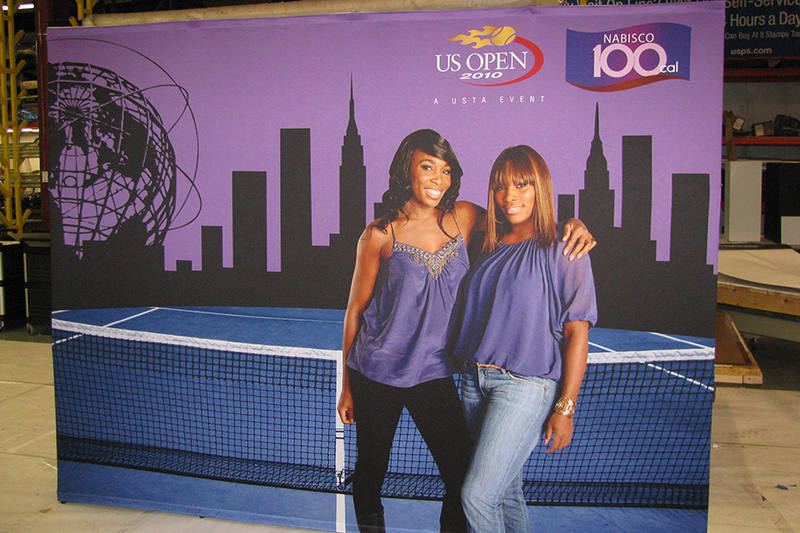 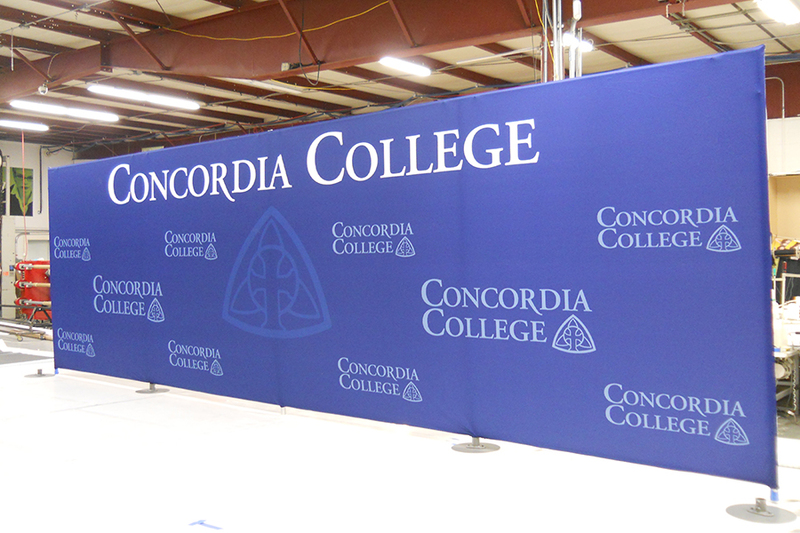 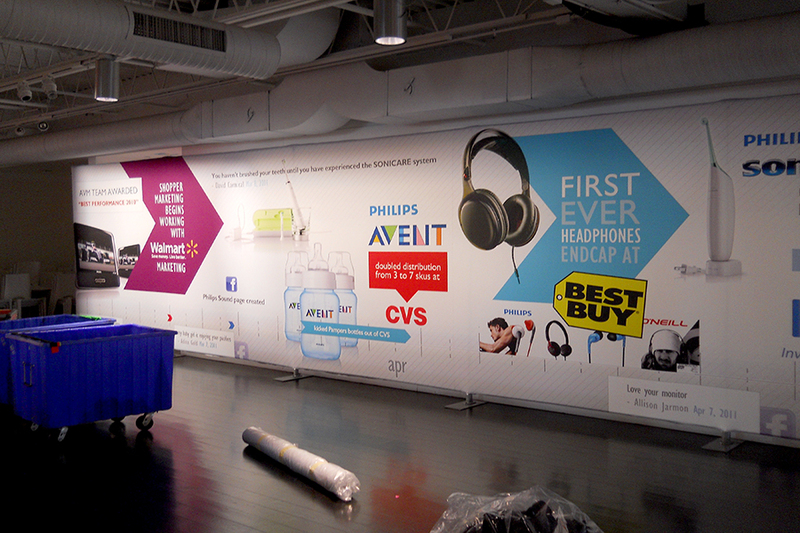 When you are looking for a vibrant Press Wall to show off your brand and logo, we are your One-Stop resource. 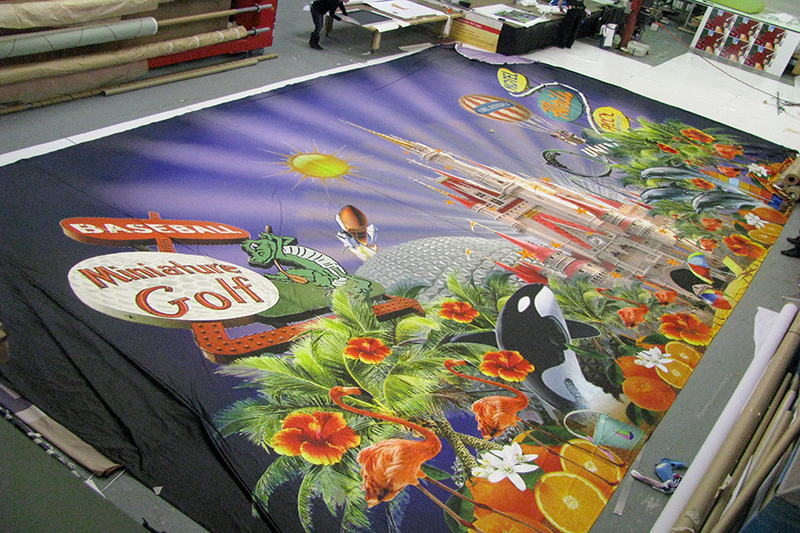 Our advanced technology gives us the ability to produce dye-sublimated printed fabrics, the best material for your event. 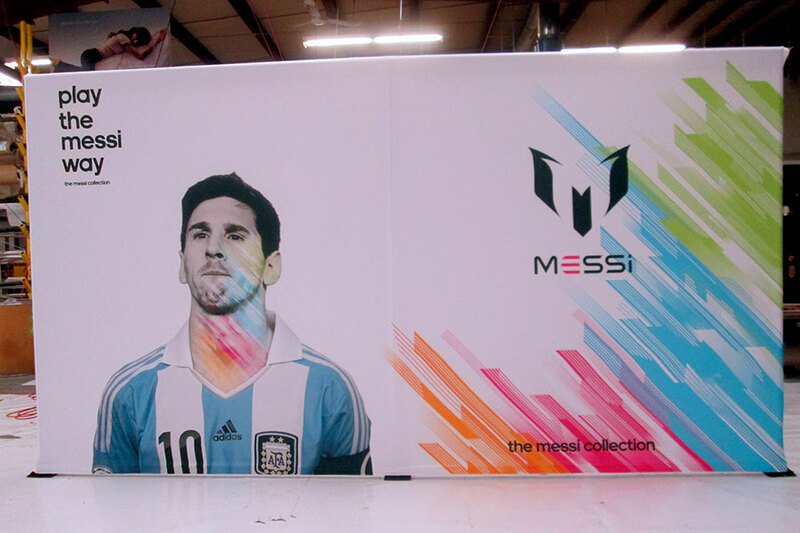 With the technique of dye-sublimation, the inks become part of the fabric, so they don’t fade. 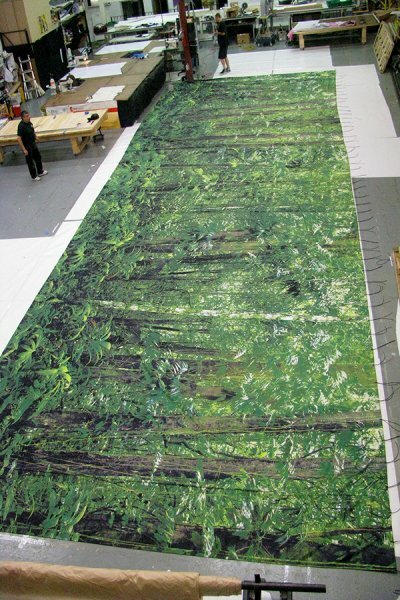 The material can be washed, steamed, and dried, and the color will be as rich as ever. 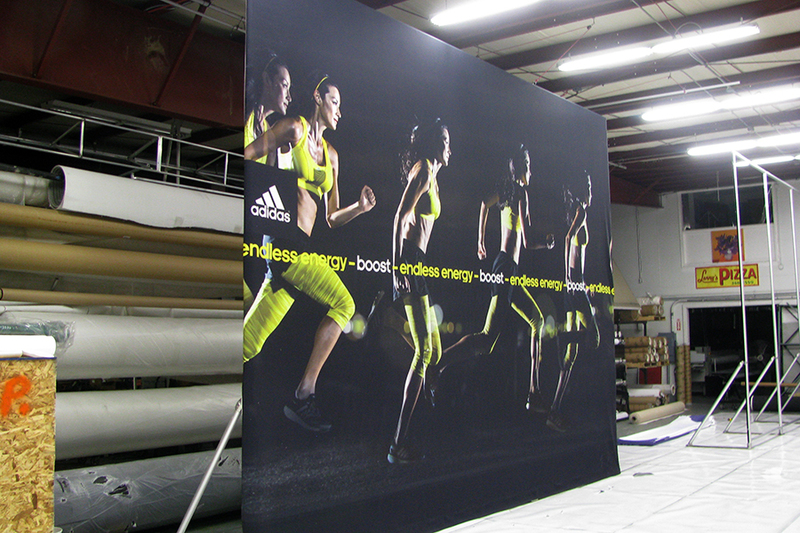 Plus, our state-of-the-art machines give us the advantage and flexibility to print in any height or length you request. 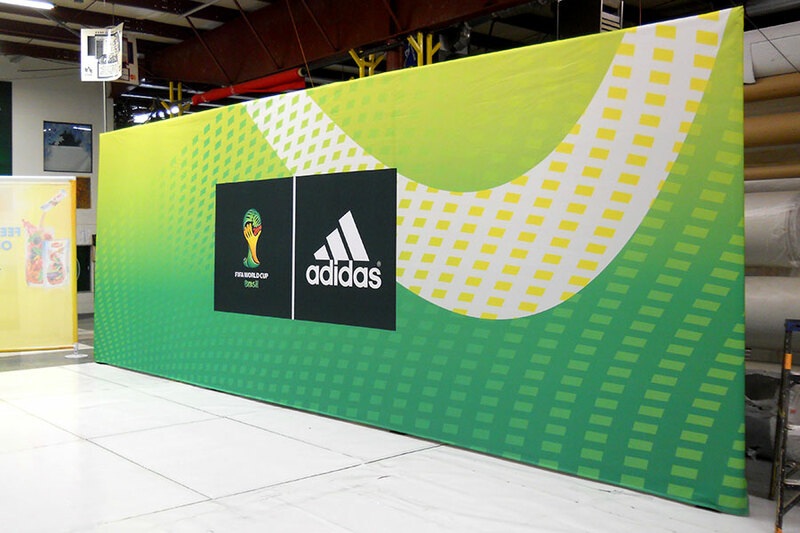 Recently, we created a giant Press Wall that was a huge 15 FT high by 60 FT long, which was a big hit with crowds and customers. 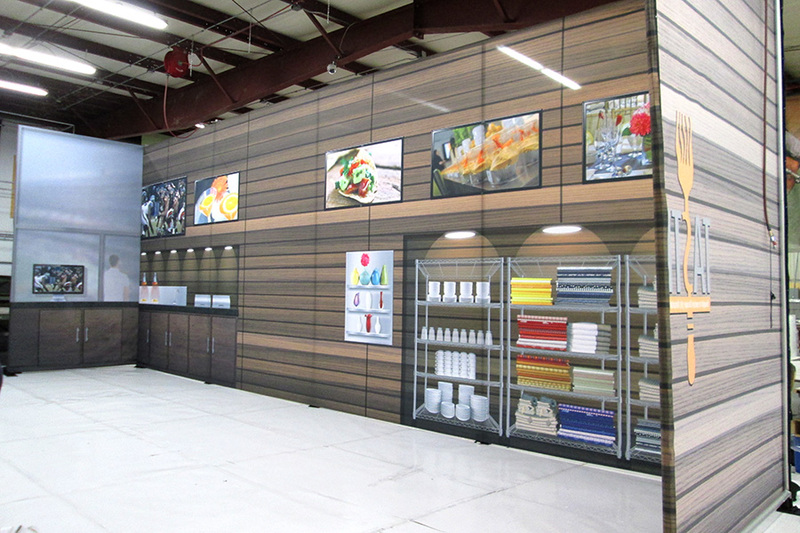 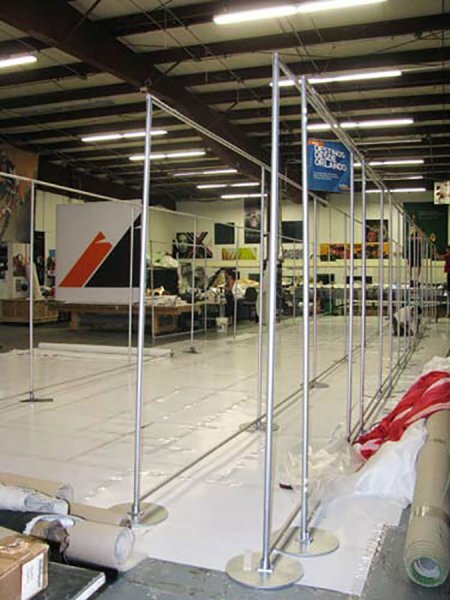 As your One-Stop shop for Press Walls, we will also produce the custom aluminum frame systems for you. 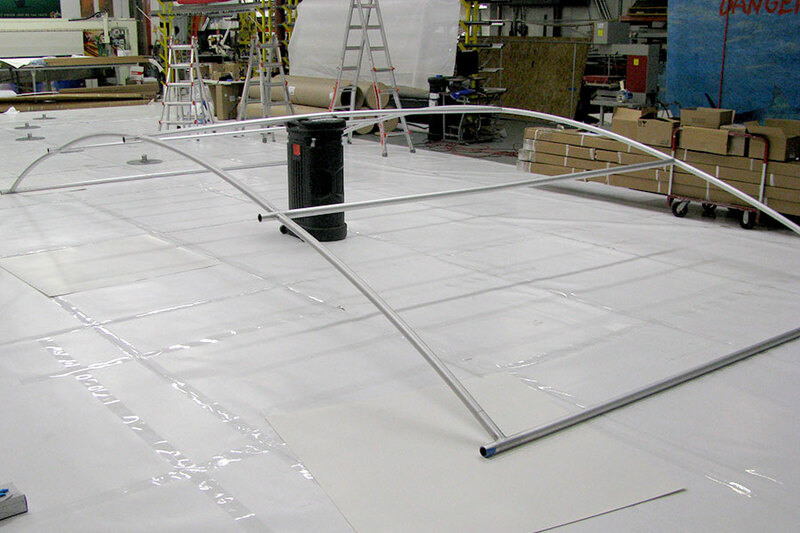 These frames are manufactured to be reusable, so they are cost effective. 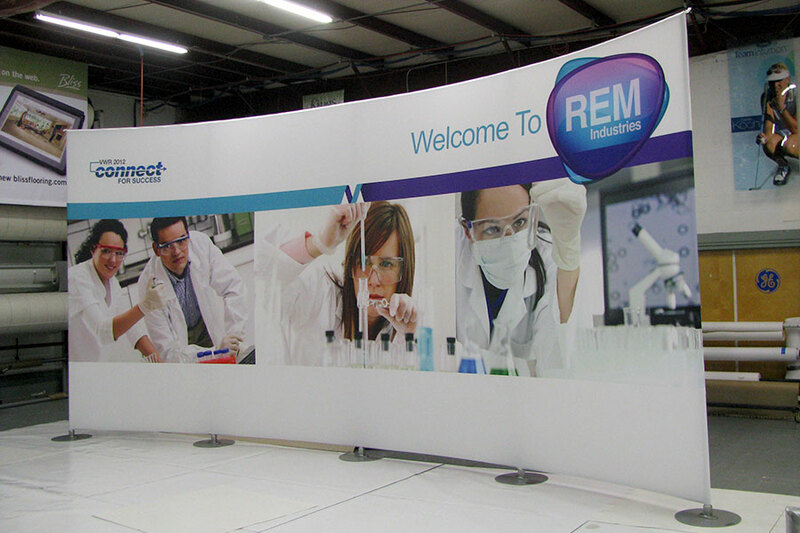 The frames are lightweight and portable, so you can easily take your brand on the road. 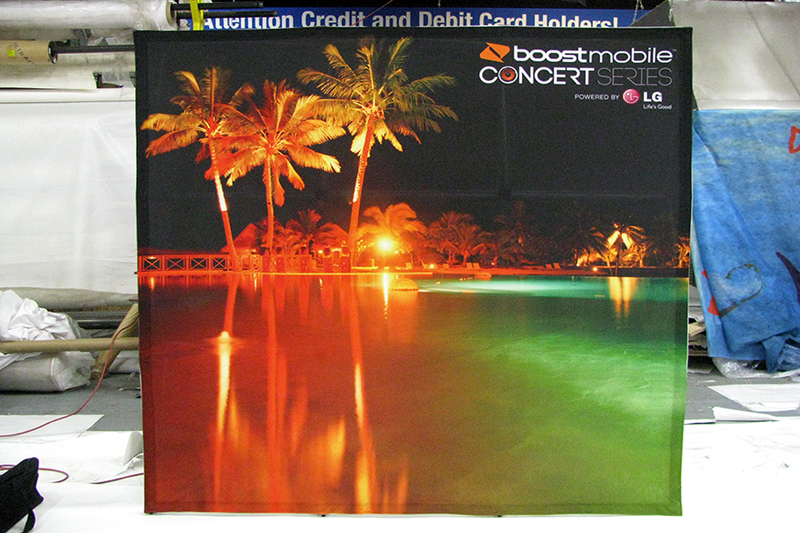 We can even create custom travel bags for you, so your event can be travel ready in no time. 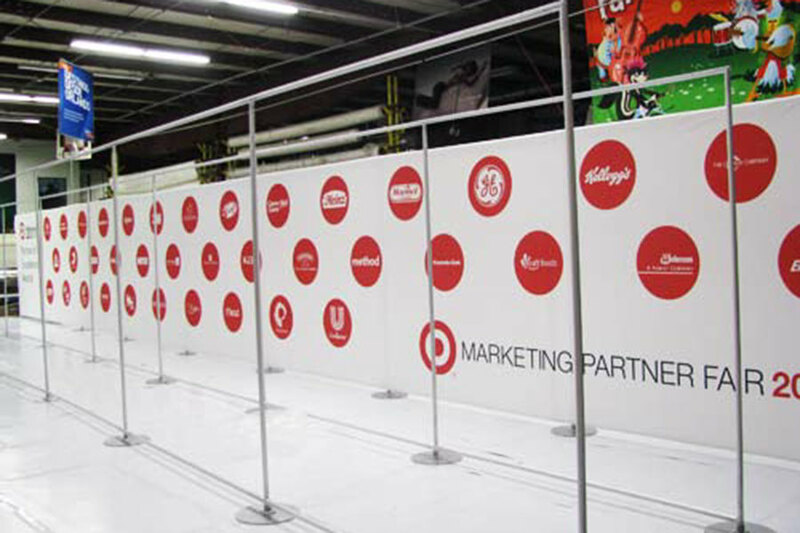 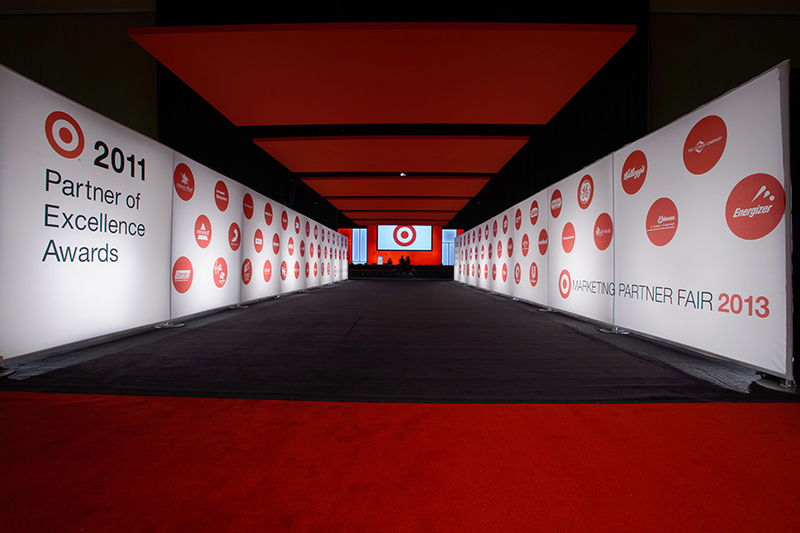 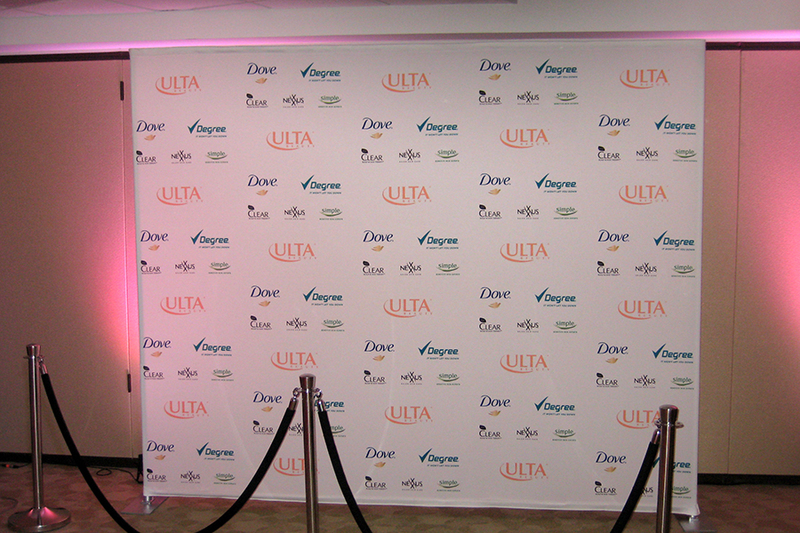 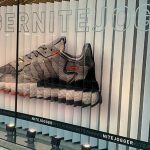 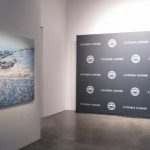 Our Press Walls have backed up stars on the Red Carpet, shown off brands at product launches, and called out to crowds at major business conferences. 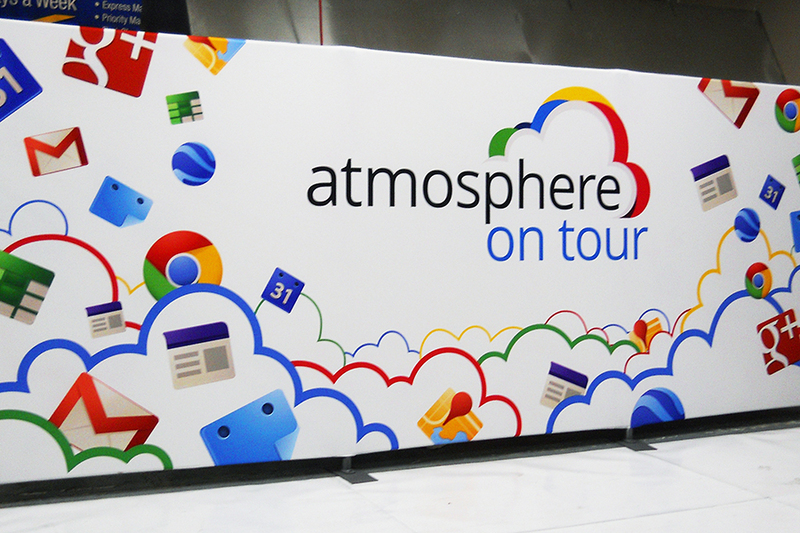 They have made an impression all across the country, from Hollywood to Legoland.